Home » Not the Candy Apples I Remember! Not the Candy Apples I Remember! But quite beautiful in their own way. I walked back into the kitchen to find the most beautiful candied apples before me. 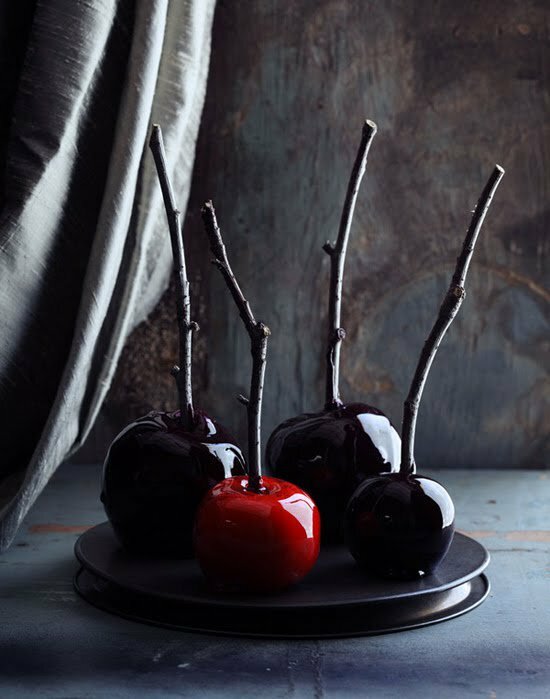 Black glossy cinnamon-scented candied glass enveloped small apples, twigs became their handles, and a few shockingly red candied apples only made their black counterparts more ominous. It was halloween on a silpat, a spooky forest that completed my cocktail.